The practice of implant dentistry was not there a few decades ago It has its long historical retrospectives. 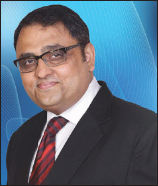 The quest for rehabilitation of edentulous ridge has intrigued mankind since ancient times. The period from the time of Egyptian and Mayan civilizations to 1930s was unique when clinicians attempted to replace a missing tooth utilizing various materials. The spark of inquiry began from mid-1930s with the advent of an alloy named “vitallium;” attempts have been made to utilize this new material as an implant. Thereafter, in early 1950s, a good deal of fundamental and clinical research started taking place. These research data had given a boost to the tremendous growth of the practice of using dental implants made of vitallium that practically exploded to reach every general practitioner's clinic across the globe. 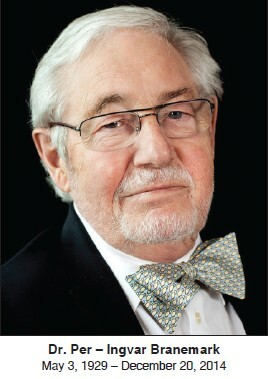 Critical understanding of bone physiology, drilling protocol, implant design and surface texture, initial implant stability, single-stage implant surgery, and immediate loading of implants are the few factors based on which modern implant practice has become a predictable treatment modality for the replacement of missing teeth. Implant-based prosthetic rehabilitation requires an understanding of associated anatomical structures. The ultimate predictability of an implant site is determined by the existing anatomy as related to dentition and the associated hard and soft tissues. Meticulous clinical assessment helps in determining the suitability of the potential site for implant placement. The purpose of this article is to present the clinical assessment for dental implants' placement to modulate peri-implant tissue characteristics in individual clinical need. Dental implants have become a part of routine treatment plans in oral rehabilitation. Diagnostic imaging is critical to presurgical treatment planning and the success of implants. Various imaging modalities may aid the placing of implants in an appropriate location with relative ease and also obtain a predictable outcome. 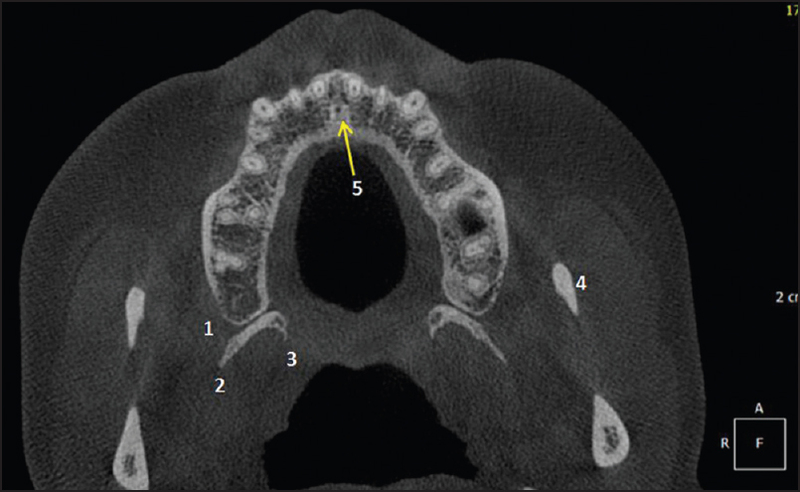 Cross-sectional imaging techniques such as computed tomography (CT) and, more recently, cone beam-computed tomography (CBCT) are invaluable during preoperative planning for endosseous dental implantation procedures. An understanding of geometric and software parameters, and image formatting options to maximize image display is necessary to optimize diagnostic yield while maintaining minimal patient radiation dose. 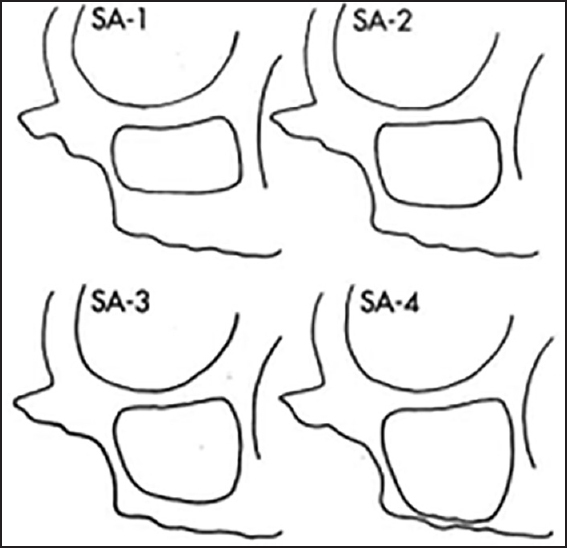 Multiplanar CT or CBCT images contain far more detailed information of the maxillofacial region than do panoramic or other bidimensional (2D) images and necessitate a thorough knowledge of the tridimensional (3D) anatomy of the region and considerations of variability in the range of the anatomically normal. 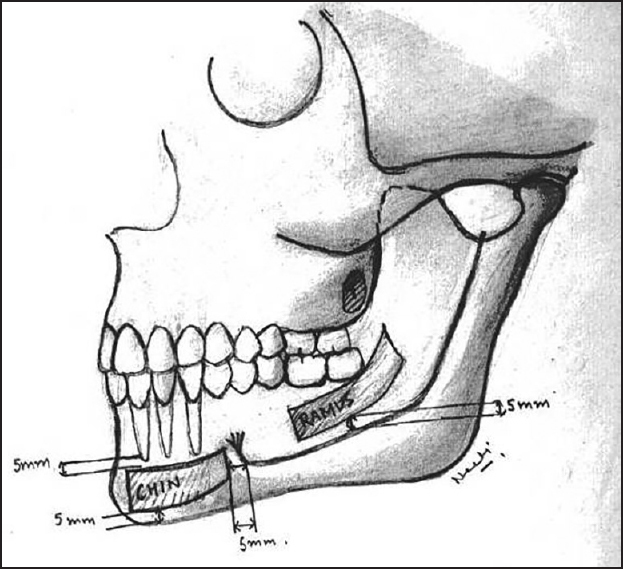 This article provides: (1) an overview of the fundamental principles of operation of maxillofacial CT and CBCT; (2) an understanding of image processing and display protocols specific to pre-implant bone assessment; (3) the basics of qualitative and quantitative bone evaluation; and (4) an introduction to image-guided implant surgery using custom or computer-generated surgical guides. The primary objective of any implant system is to achieve firm fixation to the bone and this could be influenced by biomechanical as well as biomaterial selection. An array of materials is used in the replacement of missing teeth through implantation. The appropriate selection of biomaterials directly influences the clinical success and longevity of implants. Thus the clinician needs to have adequate knowledge of the various biomaterials and their properties for their judicious selection and application in his/her clinical practice. The recent materials such as bioceramics and composite biomaterials that are under consideration and investigation have a promising future. For optimal performance, implant biomaterials should have suitable mechanical strength, biocompatibility, and structural biostability in the physiological environment. This article reviews the various implant biomaterials and their ease of use in implant dentistry. 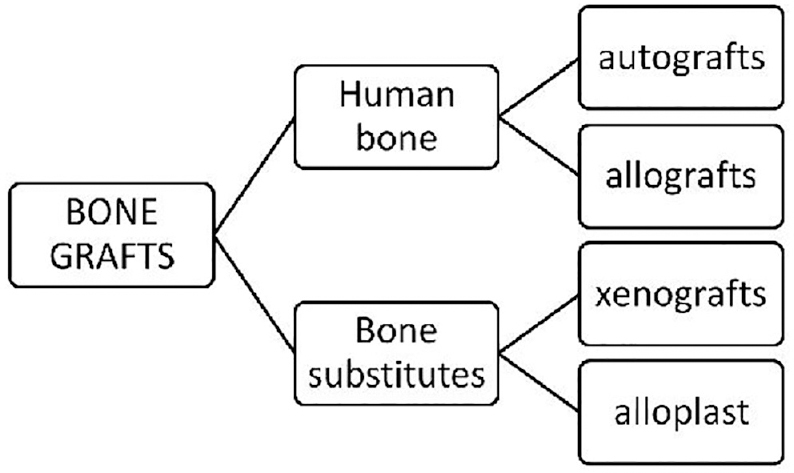 Bone is a highly dynamic tissue undergoing constant adaptation to the mechanical and metabolic demands of the body by bone regeneration and repair. In order to facilitate or promote bone healing, bone grafting materials have been placed into bony defects. The advantages of using bone grafts are space maintenance, inhibiting collapse of defect and acting (at least) as osteoconductive scaffold (though they can be osteoinductive or osteogenic also). After their successful use around teeth afflicted by periodontal disease, in ridge augmentations, and in socket preservations, we now look forward to their use around implants during the osseointegration phase. 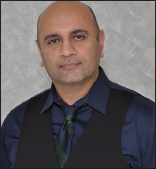 A few questions arise pertaining to the use of bone grafts along with implants are whether these are successful in approximation with implant. Do they accelerate bone regeneration? Are all defects ultimately regenerated with new viable bone? Is the bone graft completely resorbed or integrated in new bone? Does the implant surface characteristic positively affect osseointegration when used with a bone graft? What type of graft and implant surface can be used that will have a positive effect on the healing type and time? 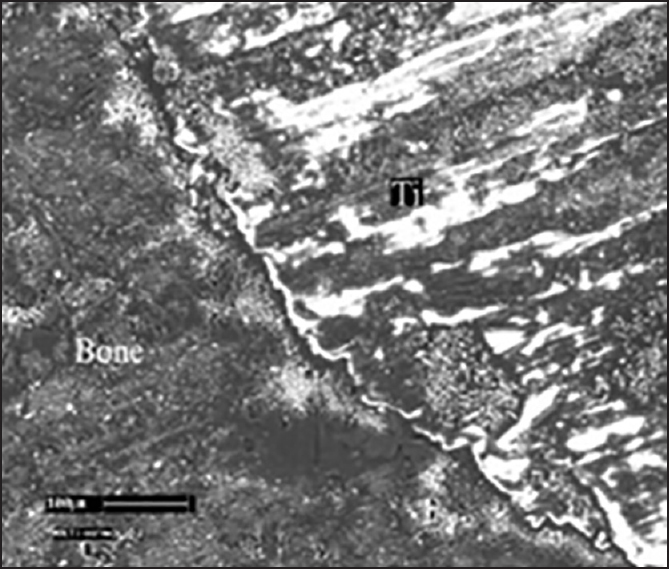 Finally, what are the dynamics of bone graft healing around an implant? This review discusses the cellular and molecular mechanisms of bone graft healing in general and in vicinity of another foreign, avascular body, namely the implant surface, and further, the role of bone grafts in osseointegration and/or clinical success of the implants. The demand for dental implants continues to increase. Implants have replaced fixed and removable prosthetics as the gold standard for replacing missing teeth. Despite the success of the majority of dental implants, biological complications in the form of peri-implant inflammation are common and present as a challenge for both patients and clinicians. 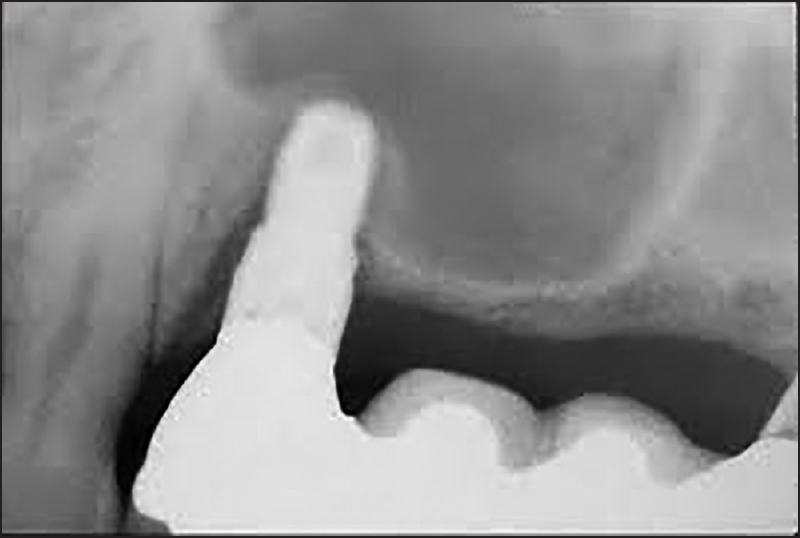 The pathogenesis of peri-implantitis was found to be similar to periodontitis. Both are initiated by a bacterial biofilm composed of similar micro-organisms. The inflammatory reaction to the established biofilm is responsible for disease progression and most of the resultant tissue destruction. Treatment strategies for peri-implantitis have mainly been focused on the removal of the bacterial etiology. Limited access and implant surface roughness have proven to be tough challenges for decontaminating exposed implant surfaces. The few attempts using host modulating agents have been abandoned due to drug-associated side effects. Recently, new signaling pathways and molecules involved in the natural resolution of inflammation have been discovered. These indigenous proresolving lipid mediator receptor agonists, such as lipoxins, resolvins, and protectins, provide an opportunity to regulate inflammation in chronic inflammatory diseases such as peri-implantitis while avoiding the undesirable side effects of inhibitory pharmacological agents. Use of the implant-supported prosthesis has gained a strong foothold in oral rehabilitation in recent decades. The increasing number of implant restorations has necessitated their long-term maintenance for optimal health. The ubiquitous use of dental implants has been associated with the occurrence of implant failure, one of the most important causes being periimplant infections. Periimplant infection is a condition wherein clinical inflammation of periimplant soft tissue with or without periimplant bone loss is evident. Knowledge of etiology alone determines the treatment and long-term maintenance of implants and periimplant tissue. There is a spate of scientific data exploring the etiologic factors resulting in periimplant infection. In this article, an earnest effort is made to analyze and present contemporary research data. Dental implant plays an important role in oral rehabilitation. In recent decades, the concept of restoratively driven implant placement has become well-accepted. Thus, an increasing number of patients, especially those with past or present periodontitis or with periapical infections, desire to receive dental implants to restore their lost teeth. 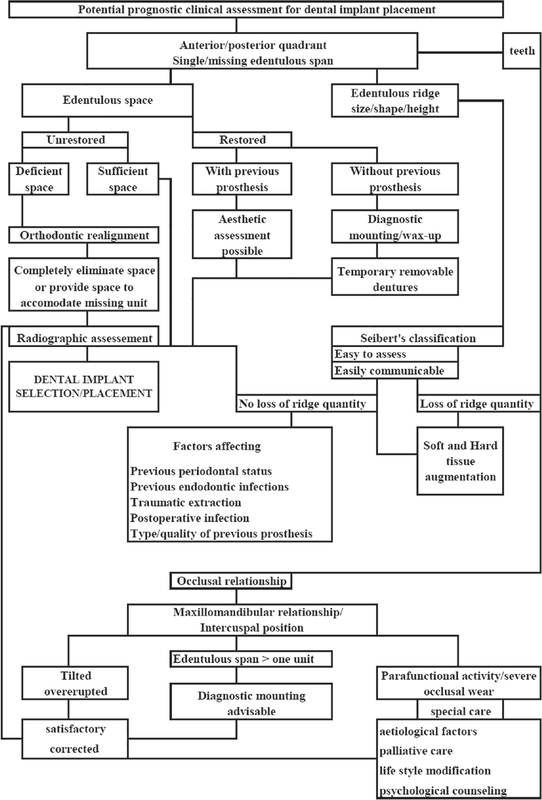 This review discusses the relationship between chronic periodontal and periapical infections with periimplantitis, with a focus on implant outcome. The studies considered for the inclusion were searched in MEDLINE (pubmed). The search was restricted to studies published in English from 1980 to 2015. Screening of eligible studies and data extraction were carried out by the reviewers. The articles included in the review comprised in vitro studies, in vivo studies (animals and humans), abstracts, and review articles. Introduction of dental implants have come to the forefront of modern odontology. 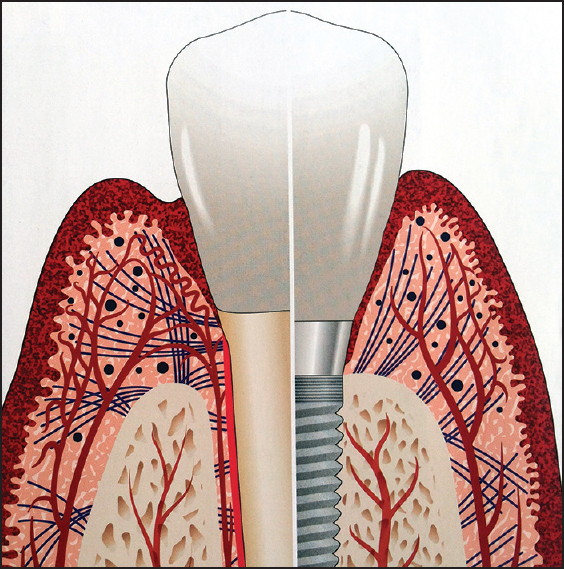 A successful osseointegration demands an ideal quantity and quality of alveolar bone. Socket augmentation techniques are effective in minimizing postextraction alveolar ridge resorption. The aim of this paper is to review the available literature on socket augmentation with special focus on its relation with implant. With the advent of dental implants, alveolar defects with insufficient bone height and width have emerged as an area of great concern. Since the overlying soft tissue forms the chief component of any esthetic effect, the maintenance and augmentation of the soft tissue emerged an area of concern and focus. 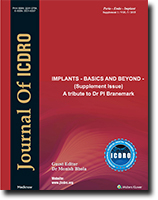 This review discusses the synergy of hard and soft tissue augmentation around implants. 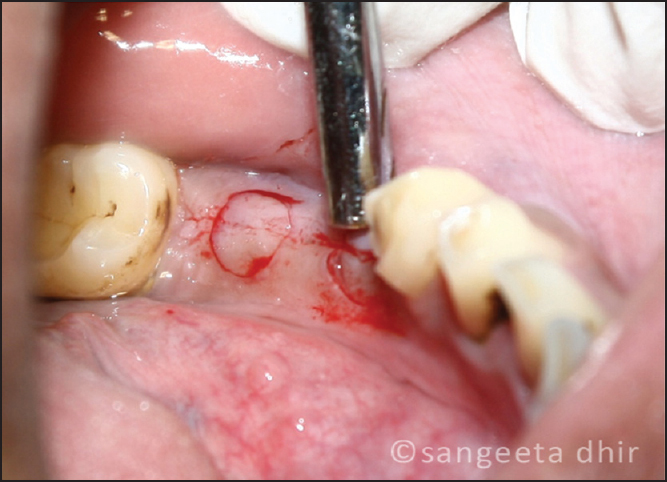 The reader is introduced to the fundamental concepts of bone grafting,and guided to the sequence of treatment and treatment options that exist for ensuring optimum peri-implant esthetic and functional results. The success of dental implants has led to research in techniques in minimising surgical complexity and increasing survival. Short dental implants are increasingly being seen as an alternative to more extensive bone augmentation procedures. This paper reviews aspects of short implant literature to give some guidelines in making their use more successful. 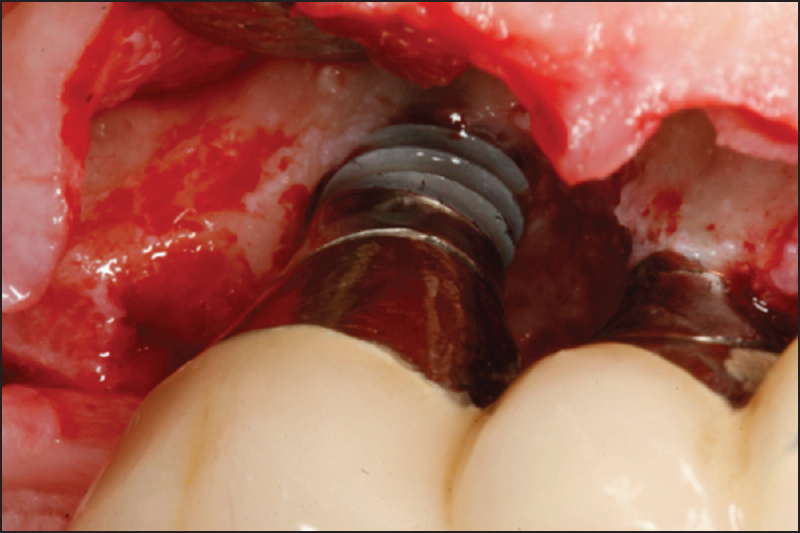 Immediate implant placement in extraction sockets is well-documented. There is adequate long-term evidence that immediate implants have survival rates similar to delayed placement. Additionally, immediate implants also help preserve the crestal bone and minimize soft tissue changes in the aesthetic zone. The decision to extract teeth and replace them with implants is determined by many factors. While implant insertion at the time of tooth extraction is desirable for a number of reasons, extraction socket morphology, soft tissue biotype, presence of infection, health of the bone and soft tissue, and other factors help determine if the site is ideal for immediate implant placement or not. This article will review some key and new guidelines for immediate implant placement in the aesthetic zone for long-term success and stability. The most important criterion for the success of dental implants is the selection of a suitable implant biomaterial. 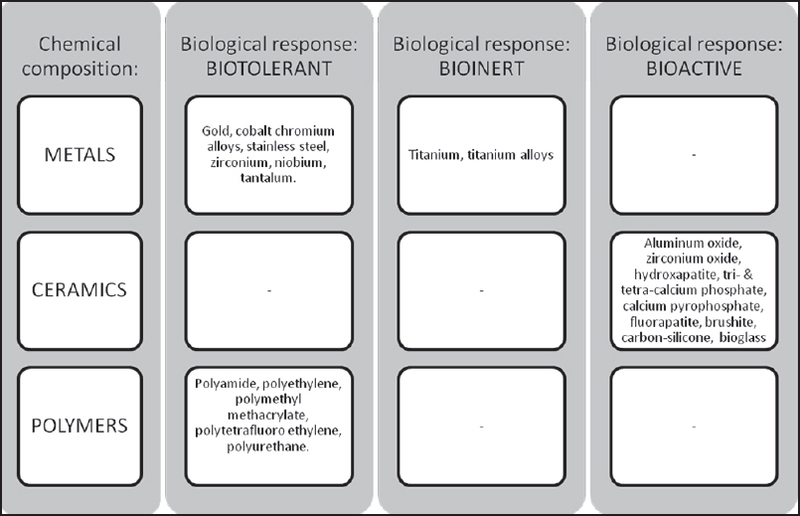 To improve the biologic performance of an implant, it is necessary to select a material that does not elicit any negative biological response and at the same time maintains adequate function. It is mandatory for a dentist to have a comprehensive knowledge of various biomaterials used for dental implants. The material of choice for fabrication of the dental implant till date is titanium. With the advancements in the field of implants, zirconia seems to be propitious in the future. However, more advanced in vitro and in vivo studies are required before reaching any such conclusion. To increase the success of zirconia implants, care should be taken to reduce the incidence of mechanical failures. Such failures can be taken care of by having a thorough technical knowledge of implant designing and manufacturing defects. This article attempts to compare the advantages and disadvantages of various dental implant biomaterials. Focus is placed on the recent advances in this field with the recently introduced zirconia and its comparison to conventional titanium. The ever-increasing popularity of dental implants in recent years has been associated with the reported incidence of short-term and long-term complications such as peri-implant mucositis and peri-implantitis. 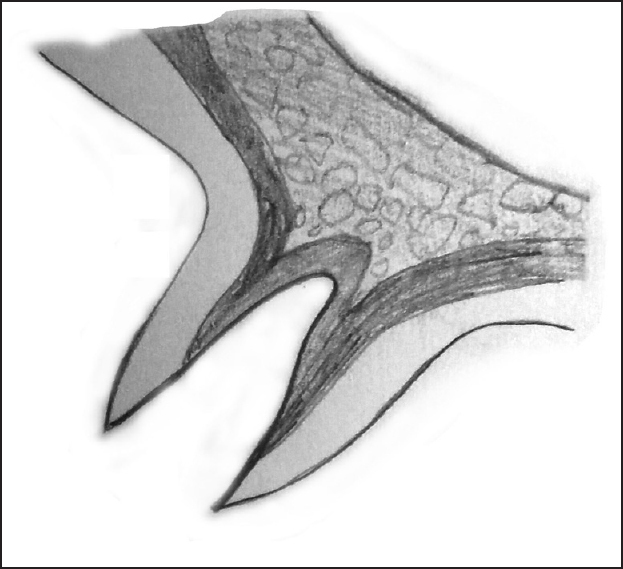 Therapies proposed for treating peri-implantitis are based on the evidence available for the treatment of periodontitis, and are aimed at reducing the bacterial load within peri-implant pockets and decontaminating implant surfaces, and, in some cases, attempting afterward to bring about bone regeneration. The treatment of peri-implant infections comprises conservative (nonsurgical) and surgical approaches. This paper reviews various treatment strategies used for the treatment of peri-implant diseases. There are many approaches suggested by various authors for the treatment of peri-implant diseases, but there is no “ideal peri-implant therapy” that has been described in the literature. There is no consensus regarding the treatment protocol as the studies conducted so far have had varying study designs, small sample sizes, and short follow-up periods.